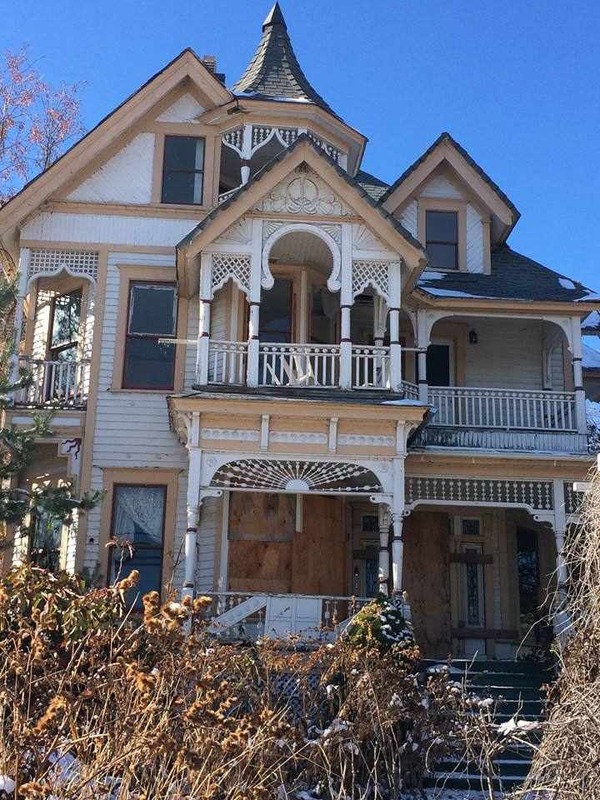 According to the auction notice of sale, it will take place on 12/28/15 at 10am at 3300 Vandenberg Rd, Klamath Falls, OR to the highest bidder for cash. Read the Sheriff Notice of Sale for more information, date and time subject to change. Please do not call the Sheriff's office to schedule a viewing! This is a Sheriff's sale and is not represented by any broker. The top photos of it boarded up are recent. Special thanks to Ron for sending in the information about this home and photos. I lived in This house in 1973. In the attic were stacked brass acetylene lighting fixtures which were originally installed and later replaced with electric. 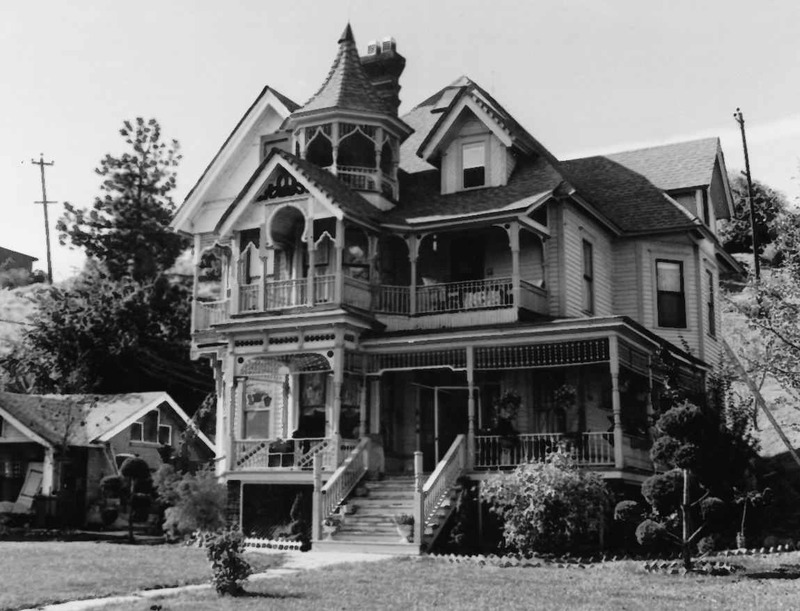 There is a picture from the 1880’s of KFalls and the house is prominent in the photo so, it is much older than 1904. Im wondering if the date is wrong for the photograph? The Goellers (my great great grandparents) had not arrived in Klamath Falls until just before the house was built in 1904. They had been living in Kansas where they had their first son, Harry, in 1888. 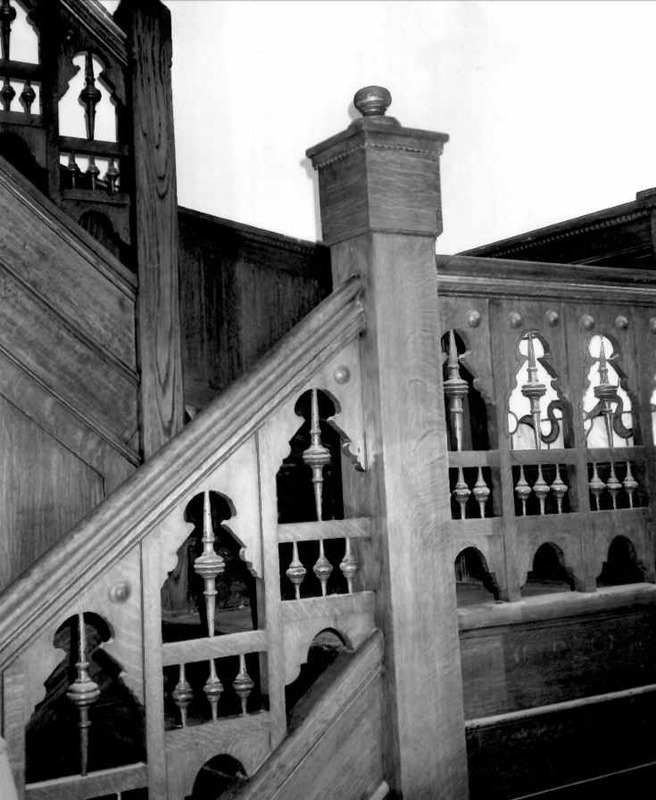 Harry was a young teenager when they moved to Klamath Falls and helped his father, John Goeller, build the house. So it being build in the 1880s is not correct. 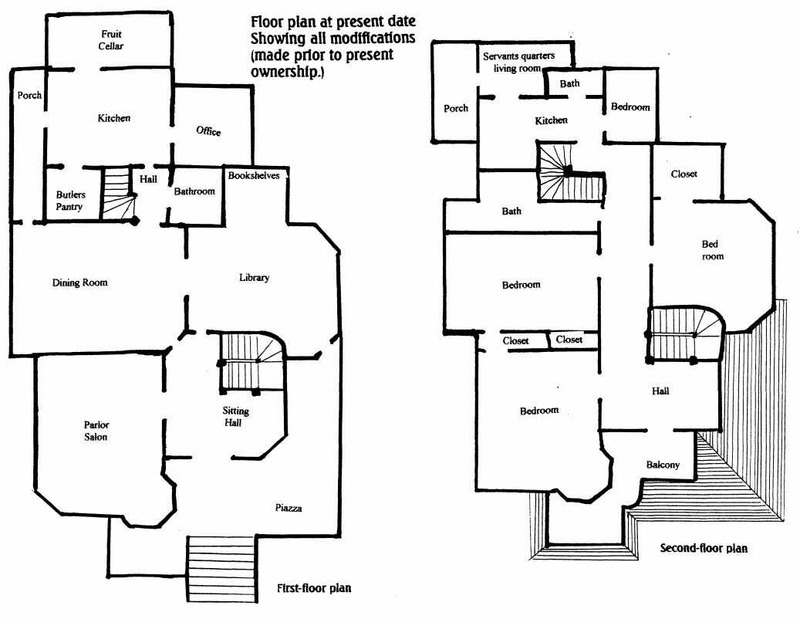 The exact plan (Design No. 56) is from from George F. Barber’s Cottage Souvenir No. 2 from 1891: http://cmdc.knoxlib.org/cdm/ref/collection/p15136coll3/id/3358 (George F. Barber collection, Knoxville Public Library) Barber did not begin his house plan publishing business until 1888 when he published Cottage Souvenir (No. 1) The Knoxville Public Library has an entire 1891 edition of the Cottage Souvenir No. 2 for viewing as well as all 18 designs of the 1888 Cottage Souvenir # 1. (printed on card stock and originally tied together with a string) The institution is one of the best online resources for all things related to the architectural legacy of George F. Barber who sold house plans (often customized to suit clients’ wishes) from Knoxville by mail beginning in 1888 until his last house plan book came out in 1908. That this house is a match for Design No. 56 is not disputable-in the aforementioned Kenneth Naversen book WEST COAST VICTORIANS this house is listed as 1904 as well (Naversen carefully researched the information for each house in his book(s)-he also authored a book on EAST COAST VICTORIAN) so the date on the archival photo (?…haven’t seen it to be able to compare) needs to be verified as from the 1880’s or not. The exterior seems to be in fairly good shape. 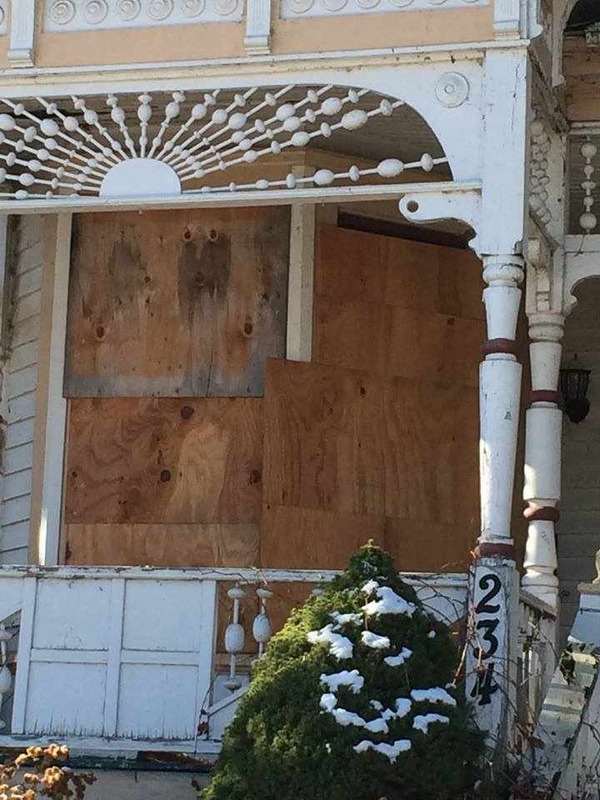 A boarded up door though… my curiosity is stirring. If only there were recent photos of the interior, but for now I’ll have to use my imagination! This house was built by my great great grandfather, John Fred Goeller, in 1904. He, along with the help of his son, Harry Goeller (my great grandfather), and the local natives, was able to erect this magnificent home. 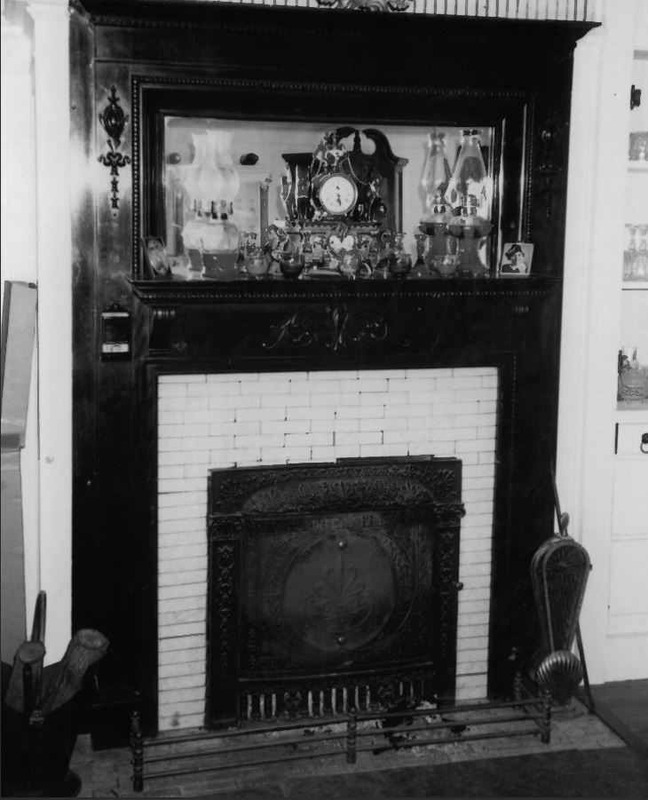 This amazing house means a lot to me and my entire family, as it is pretty much a large family heirloom. We all hope that whoever purchases it is ready to restore it to its original beauty. The inside of the house should be clean, a group of us went in and cleaned up all the trash in the house. 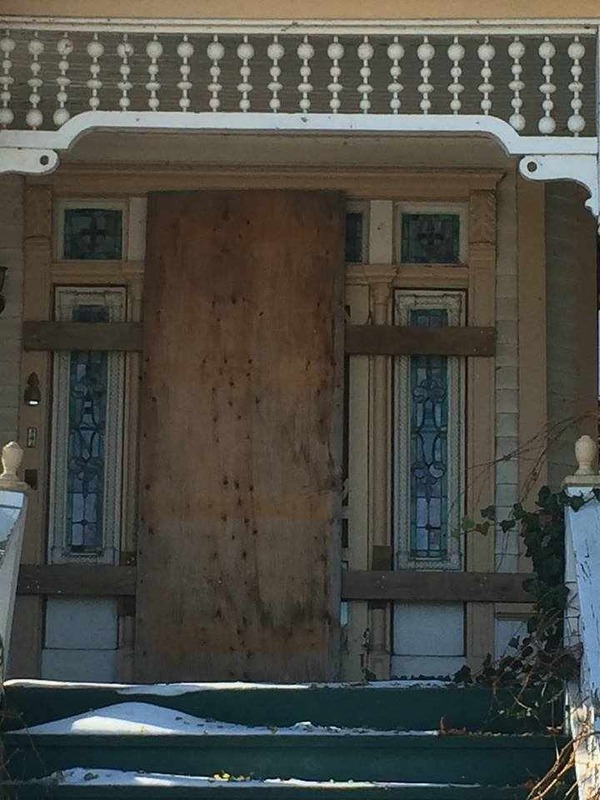 The front window to the right of the door was broken which is why it is boarded up. The rest of the enterances is boarded up except the door by the kitchen in the back of the house. There is a major roof leak on the upper floor which has caused alot of mold in that room. I beleive it is a smaller closet. This information is only current 1.5 years. I’m very glad it is going to auction and hope whoever purchases it plans to restore it. In the photo of this house used in Kenneth Naversen’s WEST COAST VICTORIANS 1980’s book are life size statues of Greco-Roman figures seen standing on the porches. 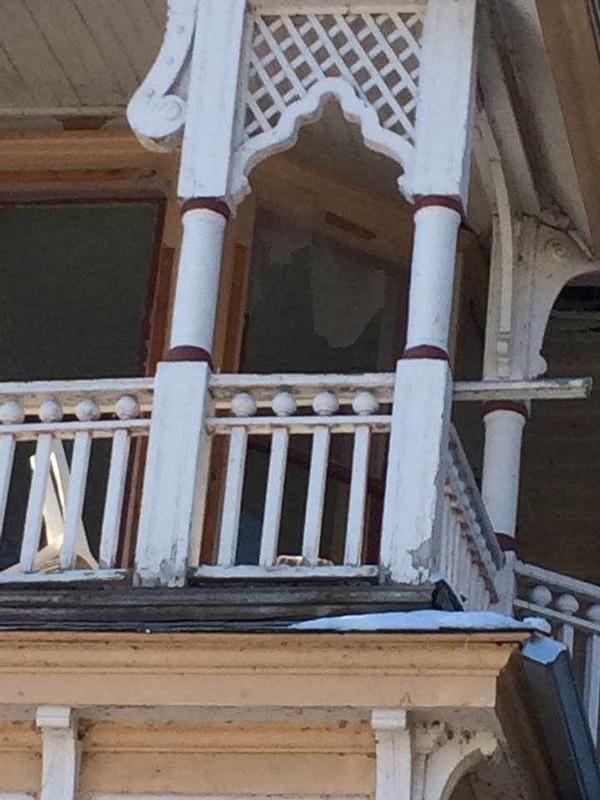 I went down Riverside drive in streetview and found them now sitting on a neighbor’s porch: https://goo.gl/maps/8hkWkX9wLe82 I thought they looked pretty cool and “artsy” standing on the porches here. 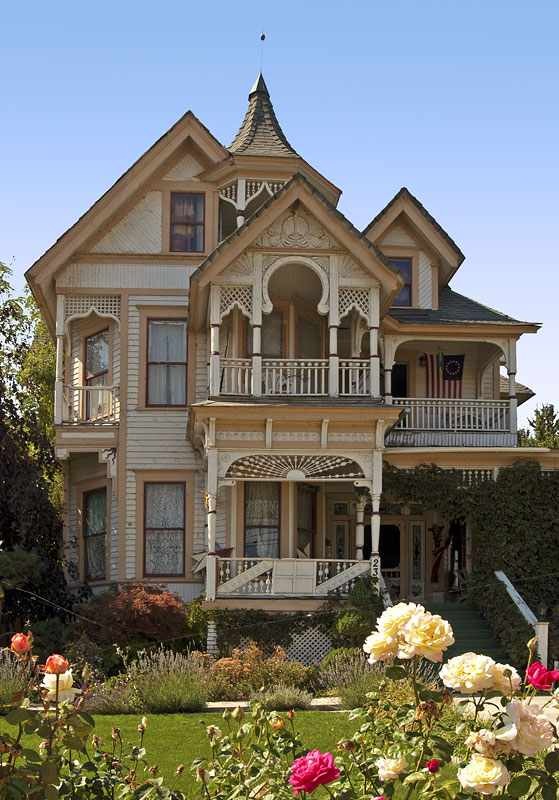 Also down the street is a Queen Anne with an unusual tower roof shaped like the one on the c. 1890 Morey Mansion http://www.oldhousedreams.com/2013/08/29/1890-queen-anne-redlands-ca/ It was claimed that the Morey Mansion’s tower roof has ribs like a boat’s keel because the carpenters were boat builders but now I wonder because the house down the street on Riverside has an almost identical ribbed tower roof. Ah sigh. A few years back my brother lived there. They repaired and remodeled – fixed much. It was stately and grand. Bamboo flooring in the master suite on 3rd floor, gorgeous refinished hard wood floors downstairs, new state of the art kitchen. Grounds. He and his wife did a fabulous job. I don’t know what’s happened to it since that time. A grand home. 40 years ago, when I was a young girl, my aunt owned that house.y cousin, Adam was always trying to get me to go into the attic because there were bats there. I would be grateful to see someone bring it back to life. It needs some love. I built the new kitchen cabinets for the T*’s in the house about 15 years ago. They did a huge amount of remodeling in the years that they owned it until C* passed away. I am saddened to see it boarded up and I hope it hasn’t been neglected to a state of decay now. It is to grand of a home to fade away. I wish I could share this on Facebook as T* is a friend of mine on Facebook. My uncle owned this home for many years until his sudden passing. The doors were always open to people. If they were alone at holidays, had no where else to go, or just needed some company. So many good memories. Beautiful home. It deserves to be loved. 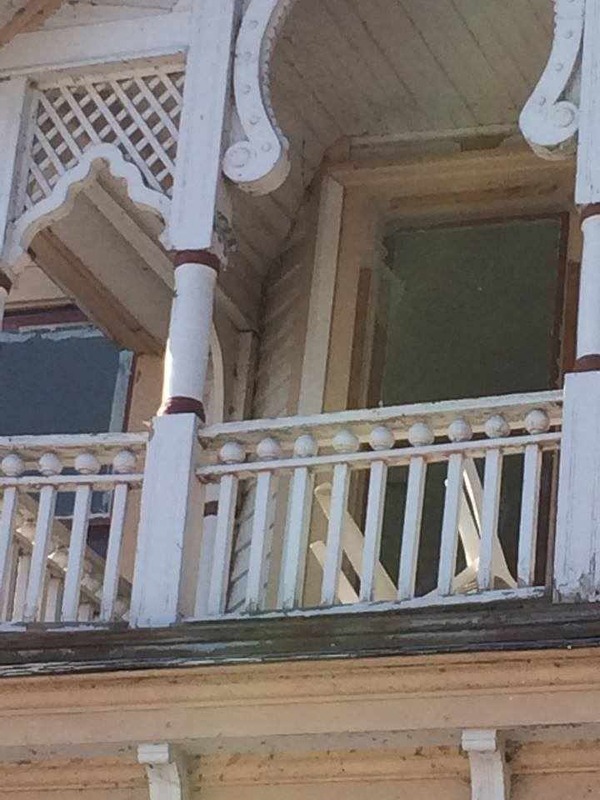 The interior of this house is in complete disrepair. Verification? My name is on the sheriffs pdf above. The servants quarters have completely disconnected for the house as of a few weeks ago. My brothers (also listed on the above sheriffs pdf) live right next door. The top floor was remodeled and modernized. There was a leak while my dad lived there. It wasn’t fixed and he has been gone for 6 years and left the house 8 years ago. The house has had several different vagrants stay in it. Klamath is notorious for meth, and many of those characters took residence in their from time to time. There is no foundation, so it’s not financable through an institution. I wish the owner good luck, and I hope your pockets are deep. It bankrupted my dad. I was staying at my daughters house which was just a few doors down. I tried the French doors that had been added to the dining room and they were open! I went inside & quickly concluded no one lived there. The house is WONDERFUL & I recall a “pass through” between kitchen and dining room, lots of claw foot tubs. The house was spacious and the front views are good. It is in the old part of town. Not the greatest part but the big house next door was restored as a women’s shelter. I remember looking out from the 3rd story balcony and absolutely loving it! The 3rd floor has a sky light and has been totally remodeled into one big suite. My heart hurts for the family that lost it. I am a seeker of old homes living in NM. I called this morning on the Goeller house just prior to the bidding. The starting bid amount was $250,000.00 cash only. This is a great starting price since this is about 250,000 less than what is owed on it (approx. 474,000) However, this probably does not include the back owed property taxes of just under $12,000. Which the buyer would be obligated to pay up to date. Would buy it if I had lots of extra cash lying around. Definately a money pit no matter how you look at it though. A purchase for a wealthy nostalgic person. Too bad its not in a more populated and happening area to make it more of an income earning investment to try to recover the cost of repairs and upkeep. Many repairs need to be done. Probably about $500,000 worth. Especially with a roof leak that has been ongoing for over 6 years now causing major damage to parts of the house. Its better to wait till it goes on the REO list to purchase if it does not sell at auction, since it will probably go down in price. But, the lucky person who does purchase it can apply for a 20% government/state incentive for the preservation of a property on the national historic register. Which means, if you repair and preserve the property after purchase, the government/state funding will pay for 20% of the cost of repairs afterwards for preserving a historical building. On the grounds that your application is accepted. There are also several other grants available that can possibly be obtained to help towards the cost of repairs. Most of them give a max of about $2500, but with a price tag of repairs so large, every little bit helps. And there are also grants to be had if you are planning on opening a business at the location and you can show that it can improve the quality of the town itself. Like with what happened for the house next door for the women’s shelter. They were given $600,000.00 from the state for repairs and another $55,000 from a health services company since the shelter was going to be a place to gear towards the mental and physical well being of individuals. So help is out there if you do your research. Buyer beware however. What most people don’t realize is how much time, effort and money it takes to keep up a home like that. Just because you bought your dream house, fixed it up and now it looks great, you think your done. Think again. There is alot of upkeep with a house this size. From small things to big costly yearly things. These old houses are beautiful but they are made out of almost all wood. That wood has to be maintained just like a backyard deck. With a house like the Goeller house and ones similiar to it across the country it is recommended you paint the house once a year. Not only to give the house good curb appeal, but to keep the wood sealed and free of damage. Thats just the beginning. How much of the inside of that old house is wood. The beautiful fireplace mantels possibly, or how about the grand hand carved wood staircase. Of coarse the constant maintenence does not stop at wood, but whatever it is im sure by now you get my point. High maintenence homes. Goeller house is definately a true diamond in the rough that im sure many would love to own. But, as you can see clearly from this case, it definately takes money to make your dream home. Good luck! This is old home seeker in NM again. I just want to clarify what I had stated in a previous comment. I mentioned that there is a 20% government incentive that you can apply for after the purchase of the house, which is correct. However I need to clarify that the incentive is only eligible to people that will be using the property for a business and only eligible to homes that are on the natonal historical registry. It is unfortunately not given to individuals for a private residence. But if you are planning to open up a business then it could be a very lucrative investment, especially if you can get funding help. There are some grants available for private residence funding, you just need to do the research to locate the areas they are available in. Sorry if this caused any confusion. When I was in the house in 2008, the leaks were there. I guesstimated no less than 250,000 to bring it up to code at that time. I truly believe one is looking at no less than half a million, probably more, just to make it safe and livable. I remember seeing the leaks around the skylights had just started. What a shame. The skylights really should never have been put in. I’m not sure why a person would put them into a Victorian house in the first place. There seems to be a lot of remuddling that went on in the past. The attic just needs returned back to what it was designed for, an attic. The skylights need taken out and the roof repaired to original. The leaf ceiling fans definitely need removed. I’m not sure what that was all about. The kitchen totally needs revamped back to near period without two stark white ovens. The list goes on… Good luck to the new owner. I’d love to be your broker on this home! Thanks for the update. I’ll get on reposting this and updating with the new information and price. Check the new post to comment and for details, new post link. Closing comments here, comment on the new post.